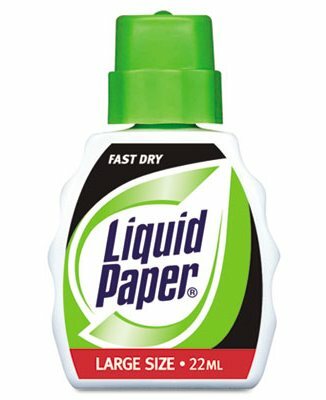 Does God Use Correction Fluid? Is your name written in the Lamb’s Book of Life? If so, are you worried that Jesus may blot out your name? It seems that many Christians are. They are afraid that they might do something that will cause Jesus to blot out their names from His Book of Life. It’s like Jesus is sitting in heaven with a pen in one hand and a bottle of correction fluid in the other. Get saved, name goes in. Fail a test, name goes out. Re-commit your life to God, name goes back in. Phew! With all the re-commitments going on, you’d think Jesus was in danger of repetitive stress injury! But seriously, do you fear that Jesus might remove your name from His book? Is this something that concerns you? It shouldn’t. I don’t want to belittle this. It’s very important to make sure that your name is recorded in this book. (If Jesus knows you, you’re in!) But if your name is already recorded in His book, should you be worried about being blotted out? Under the old covenant, the answer seemed to be yes! But we don’t live under that old sin-conscious covenant. We live under the new and better covenant of God’s grace. Under grace, your performance affects your standing before God not one bit. Jesus did it all. We are not blessed because we are faithful but because He is faithful. Someone with an old covenant mindset looks at this verse and sees only conditions for salvation. They think, “I have to overcome to qualify. If I don’t overcome, I’m going to be blotted out.” To read the verse in this way is to dismiss the cross and make the grace of God of no effect. God has perfect knowledge. When He added your name to His book He knew everything you had done and everything you were going to do. There is nothing you can do that will surprise Him, nothing that would cause Him to shake His head with disappointment and say, “I made a mistake adopting that one.” The good news is that God doesn’t make mistakes. When He added you to His book it was for all eternity. God promised to blot out all your sins and He did that already. This was the “new thing” foretold by the prophet Isaiah (43:19). Under the old covenant, men’s sins were counted against them. But when Jesus met all the demands of the law at the cross, all your sins were blotted out. Your sin is no longer being imputed to you (2 Cor 5:19). Why did He blot out your sins? He did it for His own sake, because He loves us, and so that we might be reconciled to Him. If your name is in His book, you have nothing to fear on Judgment Day. If all your sins were blotted out at the cross, then there is no sin left that could get your name removed from His book. This is the gospel of grace. It was new news for Isaiah, is old news for us, but is still good news for everyone. 50 Comments on Does God Use Correction Fluid? Are you sure Rev. 3:5 is an assurance that a name can’t be blotted out? In v. 2&3, He first admonishes to “wake up! … strengthen… remember… hold fast… repent… then in v.4, He says there were a FEW in Sardis who were worthy to wear white. A FEW. And for those who OVERCOME and are victorious, He promises that they shall also wear white and that THOSE are the names that will not be blotted out. That in itself implies that there are names which WILL be blotted out. God doesn’t spend His time writing, blotting and re-writing, but for everyone who has prayed the sinners prayer to feel ‘safe’ because they still go to church and pray before they eat is dangerous doctrine. Read the stories of those who have taken up their cross and been persecuted for their faith, yet refused to deny The Name of Jesus, and THEN you’ll know what it really means to be a victorious overcomer whose name is promised to NEVER be blotted out. Well said, Sharon. It seems to me a haughty and irreverent thing to say our God will only do this or only do that, especially when it comes to salvation. It seems to me that saying “once saved always saved” is putting something in God’s mouth. He is sovereign in all things, not us. Blessings are related to works, but salvation is a free gift. It is the blood that seals the deal, so to speak. We don’t apply it and we don’t decide when it gets applied. Our only choice is whether or not to believe and even our faith is a gift we receive or reject. Do we submit and repent and experience regeneration – or not? The sinner’s prayer is wholly inadequate in and of itself. Salvation is not attained through incantation, but through faith. Faith is not mental acknowlegment, but is demonstrated and reckoned by obedience. There is sin unto death and sin not unto death. We are not the judges. We are either sheep or goat even that is not our decision. @Sharon – You raise several interesting points. First, as to who needs to wake up and repent and who “the few” are, please read my separate post on Sardis. Second, you say that names will be blotted out (even though Jesus says they won’t). If God blots out names that He originally wrote, isn’t that implying that God made a mistake? Are you saying that God makes mistakes? Third, if reciting a sinner’s prayer, church attendance and grace before meals are insufficient to make someone feel “safe,” exactly what works are required before one can feel safe? If I am persecuted for my faith and endure, can I then feel safe? If so, how much persecution is required? 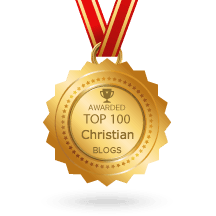 (If someone posts a comment on my blog questioning my faith in the goodness of God, would that qualify as sufficient persecution?) And if one can never feel safe, why would Jesus waste words making promises of assurance? I look forward to your hearing your thoughts. @Lance – It seems to me a haughty and irreverent thing to say that God won’t do that which He has promised. But I’ll give you the benefit of the doubt and assume your comment was not directed at what I wrote in the post. Feel free to correct me. Paul – My words were perhaps harsh, but the point remains. Can God change His mind? Sure. There are plenty of examples – Gen 6:6 comes to mind. Does God make mistakes? I suppose that’s a judgment call. I’m not prepared to serve as God’s judge. I just don’t like the phrase “once saved always saved” – not because it is somehow false, but because it breeds a false sense of assurance. Paul asks, shall we then go on sinning? Absolutely not, he retorts. They say that if you have to ask the price its too much. Assurance of salvation is kind of like that. I am drawn to ask the question – why ask about assurance? If you aren’t sure, then either you’ve got a real problem or you’re hearing a lie. Assurance is not based on emotion or in our own works – including saying a particular prayer. Assurance is found in the indwelling spirit and your regeneration. It seems to me that instead of seeking assurance, we should be seeking discernment. I don’t think a person gets saved over and over, like Jesus writes and erases then writes again in the book of life. But, I do think we are reaching too far to say a sovereign God cannot blot out a name if He judges it necessary. Jesus warns, for example, about grieving the Holy Spirit. That seems like a pretty sober concern to me. Believe, trust, obey, and most of all love. Don’t be anxious. It seems to me that’s the main message. Am I wrong? Sorry if I come across too strong – I just have a passion for Truth. If I’m wrong I want to be corrected. Thanks for your graciousness. Lance, I’m glad you have an assurance of your salvation (if I read you right). I write for those who don’t – those who, as you say, either have a real problem or have believed a lie. Uncertainty is unbelief. It is my conviction that the enemy wants us to be either opposed to God’s grace or uncertain about it. If you must be a believer, then be an unbelieving believer. I refuse. Double-mindedness is not something to be proud of, but something to deal with quickly. God wants us to take hold of the hope he offers so that we may be “greatly encouraged.” This hope is a “firm and secure” anchor for the soul (Heb 6:18-19). That last, dear brother Paul, is something I can agree with whole heartedly. Blessings to you. Amen. I choose to believe in Him who doesn’t waver in faith. I choose to believe His promises in Christ, and I choose to rest in Him. In Him I move and have my being. He is righteous in making me acceptable in His sight. I’m so greatful to read your article, it is so life giving and encouraging, full of grace and truth! Blessings to you and yours always!!! I intentionally put it in the form of a question. My opinion is not sealed on this topic but I do believe Scripture leaves a LOT of room for questions. I don’t believe any of us comprehend God, or He wouldn’t be God. As for me, even after all these years, I am still learning new things about Him that not only contradict the old, but surprise and even shock me! That is the beauty and the depth of the awesomeness of our God!! There are references to God repenting, relenting, regretting, being sorry and grieved, and changing His mind, right along with the ones saying He never changes His mind — even in the same chapter!! I this warrants further examination. Leaving aside the topic of Angels and God’s other created beings, I don’t think we grasp what God did when He made man at all. The “risk” He took when He gave man free will and the ability to make choices and decisions and speak words that have far-reaching and eternal consequences. Free will is the GOD-GIVEN ability to go against God’s own will. God is God and could have created a myriad of “puppet regimes” as most humans would, but God challenged Himself to the max in order to end up with a true companion for His Son . Man’s words and choices CAN and do alter God’s plan — for better or for worse. No, God does not make mistakes but we do and He will alter His plans to accommodate and redeem our blunders. He said all of this chaos and hell on Earth would be worth it in the end, and I believe Him because He is God, but Gen. 6:6-7 even says He repented that He made man at all. 1 Samuel 15:11 says he regretted that He made Saul king. I wish I could be comprehensive, but unfortunately, being in Africa, I cannot spend the internet time to make my case. All I am saying on these points though, is to realize we do not fully understand God (to think we do is the height of haughtiness in my opinion) so keep asking questions and then be open to receiving answers that don’t fit inside our box. There is so much more to discover and it will all blow our minds!! The danger I saw in what you said is that there are already so many who have cheapened what it means to believe and to trust Christ. As the Word says, the demons themselves also believe and even have the good sense to tremble, but they won’t have the Eternal Life we want for our fellow Human Beings. It also says that one of the signs that would follow those who BELIEVE is that they would lay hands on the sick and they would recover. Since that happens so rarely and most of those who call themselves ‘believers’ still run to the world’s doctors instead and raise money to send others too, I think it is warranted for all of us to examine our hearts and see if we really DO believe. THEN, by all means, REST in Him and in His promises, because they are TRUE and He cannot lie and you can take them to the bank or anywhere else!! p.s. Jeremiah 18:7-10 helps sum things up. Dear Sharon, I’m glad you have an open mind about these things and I’m delighted that you are spending your precious internet time on E2R! I trust it will be time well spent. You are, of course, right to say that we can never grasp everything about God. With that truth in one hand, take hold of this in the other: God does not want us to be uncertain about His intentions. He has good and eternal purposes, as you surely know, and they will come to pass. He is the same yesterday, today and forever. He is not capricious. He is not deceptive. He has no dark side. He does not change like shifting shadows. He did not have a change of heart after Jesus died and suddenly decide to start loving everyone. He is good all the way through and all the time. As I said to Lance above, uncertainty is another word for unbelief. How can you have faith for something you’re not sure is true? In the post above I identify just two of His wonderful promises. He will not break these promises. You can take them to the bank. You can stand on them in the face of doubts. You can declare them to principalities and powers. These gracious promises are not offered to demons or angels, just humans. We are the object of His redemptive work, the recipients of His favor. There’s nothing you can do to earn it, but you can reject it. There is a work involved and that is to believe in the One He has sent (Jn 6:29). As Peter, Paul, James, Jude and John preached, it’s not about you or me, it’s entirely about Him. You cannot break His covenant because you were never a party to it. We don’t stand on the flimsy resolutions of imperfect men, but on the unshakeable oath of Almighty God. If God has loved you once, He will love you forever. Thank you, Paul, for the messages of God’s grace that you bring to us. That Jesus finished the work on the cross once for all is truly THE good news. Amen. Your sword is sharp and you have rightly divided the word and pointed out where the sticking point is in your illustration, that is; how one sees two different points of view when using old covenant eyes or new covenant eyes. Mixture of old and new is just as harmful and is the purpose of the gift of the sword; that we rightly divide and know one point of view from the other. Wielding the sword takes practice and confidence and our confidence – our faith – is in Christ Jesus and that His precious blood sealed the new covenant of grace given to us by God our Father. In this is our faith and nothing more. The Mosaic covenant was about us: how WE measured up to God’s rightness and how we can make ourselves righteous before Him. This is a me-centric relationship. Since my rightness depends on how well I do in my pursuit of God’s standards, I am doomed to fail and am in need of a substitute in blood sacrifice of lamb and bull and this can only fill the gap where I fall short. I can only be at one with God via works and blood sacrifice. Fear, uncertainty, condemnation, doubt, weariness, conviction, faithlessness, worthlessness, strife, self-loathing – these are the fruits of the Law. This is why lawlessness seems like not such a bad idea. I can’t stand how God’s law makes me feel so, forget God – or worse, hate God – and just live and let live. During this time, under the law drawn up by words written on stone and sealed by the blood of animals, God was right to kill the lawless and to pass judgment on a person and on a nation. He had every right to add rules and regulations to the law and to amend them. This covenant did not exclude God from changing his mind (repenting), or listening to man’s good reasoning and withholding his wrath, or having man call down God’s wrath on his enemies. None of these changes of mind or heart or reason had any effect on the covenant yet to come – the covenant that God intended all along. The New covenant is about God: more particularly, God’s complete love and complete acceptance – His grace through Jesus – given to us that makes us righteous. This covenant is written on flesh (our minds and our hearts) and is sealed once and for all by the blood of the only righteous One – the Lamb without spot – Jesus. If you can do even the smallest thing to make this covenant more complete than it already is, then Jesus’ sacrifice was NOT sufficient to bind this covenant between Him and God and thus makes God who said it was sufficient a liar. Read the letters to the churches in the New Testament and see if this is not so. See if you can make a liar of Paul, Peter, James, John or any of the early apostles. Over and over the writers are clear and unapologetic: the complete grace of God is an absolutely free gift to those that believe that Jesus died to make this new covenant binding. Therefore there is now NO condemnation for those who are in Christ Jesus. None. Love, kindness, confidence, hopefulness, patience, steadfastness, perseverance – these are the fruits of God’s grace. When one accepts the truth of the gospel of grace and begins to live in that unconditional acceptance we cannot help but bear these fruits and our old selves fade allowing the new man to live until we are gathered home. Brothers and sisters in Christ, if you are making yourself busy with worrying about whether or not your name is in the Lamb’s Book of Life, then you are wasting your time in a dead work. Introspection is looking in the wrong direction. It is the old covenant way: the way of the Law. Child of God, you are no longer the problem and therefore are not the focus any longer. Look around you through God’s grace and allow grace to shine out of you. Give grace to the brothers and sisters around you as well as to those around you who do not believe. The amazing part of Amazing Grace is that we and they are already bought and paid for. The only difference is that they don’t know it yet. If you understand this fact, then tell them this Good News. And lastly, you and I are not qualified to judge. This not only applies to judging believers and non-believers or the dead and the living, it applies to the church at Sardis as well. The unfortunate thing about judging or hearing someone else judge or reading about a judgment is that it appeals to our flesh. We have a hard time not feeling self-righteous or condemned when we hear or read it – particularly so when we read it in scriptures. I appeal to you, brothers and sisters, resist the temptation of condemning others or yourselves through judgment. You and I and everyone else have already been judged. My heart grieves when I read in Revelation the messages to the angels of the churches in chapters 2 and 3. I grieve because it is obvious that the free gift of Grace has been corrupted by Law and many will be lost because of it. They have “left their first love”, “say they are Jews and are not”, they have “put a stumbling block before the sons of Israel”, “tolerate the woman Jezebel” who “teaches and leads My bond-servants astray”, they have fallen asleep and need to “wake up, and strengthen the things that remain” for their deeds were not found completed, and they have become lukewarm and in need of “gold refined by fire, that you may become rich, and white garments, that you may clothe yourself, and the shame of your nakedness may not be revealed; and eyesalve to anoint your eyes, that you may see”. These churches – no, ALL churches – are in dire need of the REAL Good News that we have all been purchased with the precious blood of Jesus by his sacrifice on the cross once for all and we are now IN Christ Jesus and therefore there is now no condemnation. God forgives AND forgets! (Heb 8:12) We are set free and therefore are free indeed. Not one drop of blood that was shed on the cross can be put back into the body of our risen Lord. Jesus’ work on the cross is finished, never to be repeated again. When we read, “For God so loved the world…” that means everybody. (2 Cor 5:19) ALL names are written in the Lamb’s Book of Life. ALL. It is up to Christ alone to judge which names will be blotted out at the final judgment. Praise God that the only One who is qualified is the very One who is appointed Judge. Amen. Thanks for the article. I still have questions. I thought Jesus came to replace the law of the ten commandments with only two laws..to love the Lord with all your heart, soul and mind and to love your neighbour as thyself..where would this fit in? Jesus came to give us what we didn’t have – abundant life (Joh 10:10). We will never make sense of Jesus’ teaching if we are confused about the distinction between the two main covenants. We need to understand that Jesus revealed grace AND He was the greatest law preacher of all. One man, two ministries. Actually I have another question. I am sorry, but am a bit confused. Why every time Grace is mentioned then it must be in comparison with the law? Can’t they co exist? The Lord always reassures me with this verse, plain and simple, just how I like it! Strong words, Charles. It seems you have taken on board the fears and anxieties of the insecurity-mob. Although Jesus promises that he will never blot out our names, you fear he will. You fear he will do the very thing he promised not to do. Regarding 1 Cor 9:27, please see this post. You’re incorrect, Paul. Jesus never says that He will never [under any circumstance] blot anyone’s name out, but He will not blot out the name of the one who overcomes (Revelation 3:5). A person who breaks faith with Him is not overcoming the world. 1 Corinthians 3:11-15 says that the only thing that saves us is Jesus all else is simply bonuses and treasures. Even a life lived where all deeds and works get burned up still has eternal life just no rewards. Does that mean apostle Paul was advocating a lazy life? No, just that our deeds are not our salvation. Like some one said, if you can sin freely after receive this grate grace, you are in a grate disgrace. with love, Juan Bravo. ‘The Apostle Paul’ of our time. lol. May God continue to bless your work. This blog and your book have been of a tremendous blessing to me. It was as if I was born again ‘again’ through the numerous detoxification I have to go through getting rid of the spiritual junks that I have eaten over the years. May God continue to bless you and your family. I love the picture of the old woman using a wipeout on the computer screen. We can multiply that a million times to show how impossible it will be for God to wipe out the names of those who believe in Him for the saving of their souls. He is a faithful God and can be trusted. Hallelujah!!! This post challenges the belief of many. :) I can see that in the interaction of this post. I agree with Paul (E2R) that uncertainty is unbelief it is not something that needs to be celebrated. #1. God knows past, present, and future. Agree? If so, then when you ‘prayed the sinners prayer’ and became a son/daughter did God wrote your name on the Book of Life or did He ‘tricked’ you into believing that He did because He has foreknowledge that you will not ‘endure to the end’? #2. Apostle Paul talked about our adoption as sons and daughters of God. We are grafted in Him. If God knows that in the near future we will not ‘endure to the end’ then why would He place us in Christ only to later remove it. My point is saying that we can lose our salvation because we can not ‘endure to the end’ does not make sense. We are free from being sin’s slave but we still live in a body of flesh that is capable of committing sin. We This article simply puts the myth of saved-lost-saved-lost salvation to rest. We might just as well ask why God killed 3000 people on the day the law was given at Sinai. There is much in the old covenant that is troubling. Paul described it as covenant that condemns and ministers death. But this old covenant does not reflect the grace-filled heart of our loving Father. How do we know? Because it is unlike Jesus. At best, it is a sign-post to Christ. There could be a dozen reasons why those words are in Exodus and I am reluctant to speculate. All I know is once you pass those words through the cross, any threat is removed, because Christ is the end of the law for those who believe. We do not stand on the threats made to or recorded by Moses, but on the promises that are already ours in Christ. Hi Paul, I have already said much, maybe too much in some instances. 🙂 But in regards to the putting to death of those who sinned against God, old covenant and new. Can you explain to me the death of Ananias and his wife in Acts please. And where is the Grace in this scenario and do you think they were saved? Thanks. The Apostle Paul in Romans 2:7, very much relates to John’s warning in Rev. 3:5, as glory and honor and immortality, eternal life are to them who by patient continuance in well ‘doing’, seek for. Doesn’t overcoming mean patient continuance? Here Jesus gives us a wonderful assurance of our eternal salvation. He is promising that He will never blot out our names. Please read carefully… He who overcomes …. I will never blot out his name. The condition is so clear, we must overcome. If we don’t overcome, Jesus will blot out our names! “Who is he that overcometh the world, but he that believeth that Jesus is the Son of God?” (1 John 5:5). Thanks be to God we are already more than conquerors in Christ! Just curious; by your definition, have you overcome? Please, let us reason together. God can not change His mind about the one who has believed in His Son. God has promised and then sworn with an oath that the Son (Jesus) is a priest forever after the order of Melchizedek. He (Jesus) stands as us in the presence of God for us. We have been created new, joined to God Himself, translated from the kingdom of darkness into the kingdom of His dear Son. The only way a believer can become unsaved is for their High Priest (Jesus) to die, and we know that He lives forever. Therefore we can have strong confidence, not in ourselves, but in Him who is our Life. We have received a circumcision made without hands. You can go from uncircumcision to circumcision, but you can not go from circumcision to uncircumcision. It is a one way journey. Honestly that verse has always bothered me. One thing though that really helps me is this: I John 5:4 For whatsoever is born of God overcometh the world: and this is the victory that overcometh the world, even our faith. 5 Who is he that overcometh the world, but he that believeth that Jesus is the Son of God? What a terrible twisting of scripture. Please fear God more than this! This is a shame you consider yourself apt to teach yet seem confused about the very text in Revelations which you copy pasted in your article. Remember then from what you have fallen; repent, and do the works you did at first. IF NOT, I will come to you and remove your lampstand from its place, unless you repent. Why should I be afraid of my heavenly Father who loves me? Nothing can separate me from his love. Nothing. Paul, I came across a verse that did say something to the contrary. But it’s my bible and not everyone elses. Jesus is the best source – the best bible. why do we trust the written word more than the Living Word – because we can minipulate it to control one another. That’s sometimes the only thing that is leading people to death and destruction, rather than life to the full that Jesus spoke about in the gospels. At some point you’ve got decide if you are going to keep up the charade of a painful existence for the brilliant power of fierce love as seen in Jesus. The Holy Spirit is the spirit of grace not guilt and we need to amplify before we fall for a lie. My opinion is only my opinion. It’s God’s opinion that counts. Emperors may come and go, but Jesus is here to stay. Glory to God! Dr. Paul, you’re a tough guy. I’m so happy for the soft and intelligent way you open my understanding on obscure verses and the jesusy way you handle the proud who attack your person simply because they’re on board the same flight with the insecurity mob. More grace, sir. With your version of the Bible, it is easy to say Jesus said He will NEVER blot out our names. But while I agree with your point that salvation can’t be lost, your bible translation seems to be changing a lot of the words around. I know Christ will protect both you and I from false preaching, but I get uneasy reading these other translations (Some even get rid of entire verses). In context of my NKJV and also KJV translation, changing from “I will not” to “I will never” is a big leap. The context I see in the verse is that Jesus is talking to a church who is “dead” and that they should hold fast and repent. Then He goes on saying that there are a few even in Sardis who have not defiled their garments. This is where verse 5 comes in and, it seems to me like He is referring the people who have not defiled their garment(perhaps you could give a explanation of what defiling a garment means? I am not sure). “He who overcomes” seems to refer to the people who haven’t defiled their garments, that they should overcome the dead church they are in, probably meaning not to follow the ways of the church. If this is the case, then it does seems like a warning that if they were not to overcome, that He will blot them out of the Book of Life. It is clearly not talking about the dead people in the church since they wouldn’t be in the Book of Life in the first place, so they would not even be able to be blotted out. That is unless the people in the dead church is being reference as “he who overcomes” and they were written in the Book of Life before they were saved. I got it from the Greek. The word not is emphasized so it can be read as not ever or never, which is how some English translations have it. You may be interested to learn that I am writing a verse-by-verse commentary on the letters to the Seven Churches. It will come out later this year. Ah, I see. I can read it being that way. Although, it does say that the person has to overcome first. I am assuming Jesus meant that they have to overcome the false beliefs and ideas they got after they heard and received the good news before. So what I am trying to figure out is who Jesus is telling He wont blot their names out. If He is talking to the church of Sardis and I read that a lot of people believe that church isn’t saved. But if that’s the case, Jesus would say “I will write your name in the Book of Life”, not “I will take it out”, which emphasizes that their names are already in there. Also another interesting thing I heard about the church of Sardis was that they had golden book that all the best citizens names would be written in. If they didn’t deny Christ, they would be removed. So it could be viewed as Jesus telling the church that whoever overcomes wont be blotted out like they were from the golden book. I don’t mean to sound preachy, but it’s important to have Biblical definitions for words like overcomer, lest we be seduced by our own definitions. “Who is the one who overcomes the world, but he who believes that Jesus is the Son of God?” (1 John 5:4-5). An overcomer is someone who believes in Jesus. Period. It was a common practice for ancient cities to keep registers of their citizens. If a citizen was found guilty of a crime, they deregistered them so as not to punish a citizen. There’s actually more to it than that, especially in the case of Sardis, but space precludes me from digging deeper. It’s all in my new book on the Seven Churches.